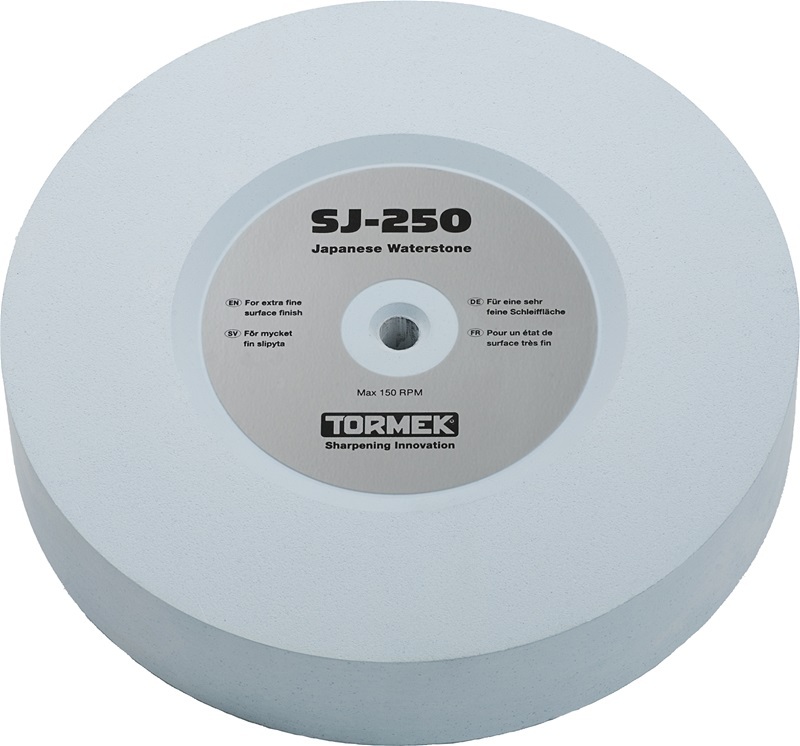 The Tormek Japanese Waterstone is 4000 grit and delivers a near mirror finish. It is used to create a fine finish on your tools, because it is so very fine, it cannot be used to shape a tool like the coarser Grindstones. 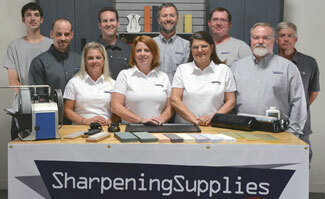 It excels at sharpening hand tools like carving tools, knives, scissors, plane irons and wood chisels where a minimum of steel removal is needed and a superior surface finish is demanded. Its unique composition gives the stone an extremely long life. Since the surface left by the Japanese Waterstone is so fine, it isn't necessary to use the leather honing wheel after the Waterstone. This stone is sized for the Tormek T8, Tormek T7 and 2000 models and measures 10" in diameter and 2" wide. For metric folks, that is 250MM x 50MM.